First there was Max Allan Collins' legendary graphic novel...then came the Academy Award winning movie and his bestselling screenplay novelization. Now Collins presents an epic new novel, combining and expanding upon all that came before, to create the ultimate version of his unforgettable story. Depression-era Chicago is awash in liquor and blood, ruled by guns, graft, and gangsters like John Looney. His most feared enforcer is Michael O'Sullivan, known as the "Angel of Death." But when O'Sullivan's twelve-year-old son witnesses a gangland murder committed by Looney's brutal son, O'Sullivan's entire family is marked for execution to cover up the crime. 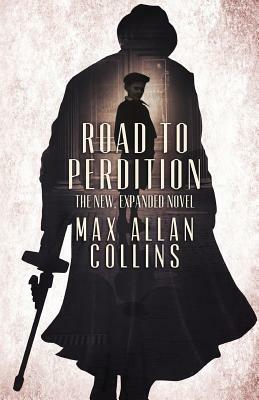 O'Sullivan and his son find themselves on the run... and seeking vengeance... on the long, bloody road to Perdition.